I was standing in line for take-out a couple days ago, after ordering food for the weekly date night with my wife. The restaurant of choice was a local joint, the kind with little seating space but always a line out the front. I placed my order and found a corner to stand in, out of the way, waiting for my number to be called. Sitting at the table in front of me was a man and- I think- his date for the night. The two weren’t dressed in any sort of lavish fashion, but had the kind of semi-awkward chemistry between them akin new love, casual enough for take-out but enough of a novelty to explain the nervous smiles. I was never good at dating; I think it’s fair to say that I had about as much suave on a first date as a walrus has on a unicycle. It’s a miracle, really, that I ever got married. Some would call it grace. I’m not a terribly open person, though I put up a good act. I wear my heart on my sleeve but moved north so I could always justify a coat; at times my life seems like one giant con I’ve enacted to keep others from figuring out who I really am. I fear that when the contents of my poker hand is laid on the table, they’ll pass on the gamble. 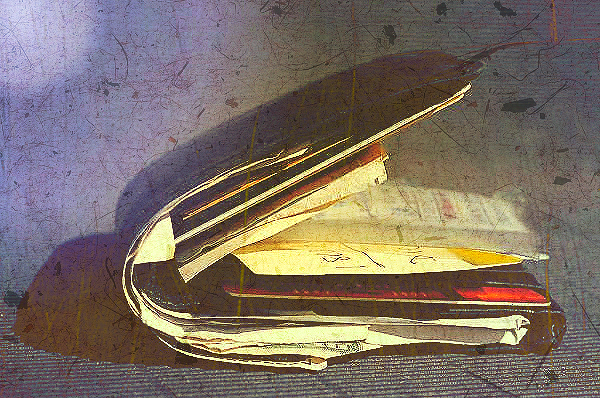 Sometimes I get close; in sprints of courage I’ll remove some forgotten card of my soul’s wallet and toss it into play. But I always keep at least one card in my pocket- I’m a cheater in the hold ’em tournament of life- just in case, when I show my hand, the response is “that’s it? That’s all you’ve got?” This has yet to happen, because people- as a general rule- have better things to do than expose my flaws. But the card stays tucked in my pocket, just in case. Because it takes a certain amount of gumption to stand before the world, a friend, a spouse, anyone… with everything exposed and on display. Self-disclosure is a spiritual gift, its distribution from which I was absent, off in my own corner scratching notes into a diary. Some of my best friends in the world don’t know my deepest fears; I pride myself on inserted tidbits of conversation that prompt a “I don’t think I knew this about you” from my wife; I may keep a blog but I’ve studied the craft of writing for years and can clothe an emotional smoke screen in the garments of transparency. Self-deprecation, after all, covers a multitude of insecurities and a writer’s life tends to mirror his work. That said, my fear of exposure is coupled with the innately human desire to be known, admired, overwhelmed with acceptance. It was Irenaeus, an early church father, who posited that to love is to suffer, and with this I do agree. But he says nothing about the suffering of the beloved; the humiliation of the prodigal son, the ache that swells within us when our child says “momma” for the first time; the driving force of a nail through the wrist and into a wooden cross. “This is my beloved Son…” can we ever know the cross our own love brings? After a while, the couple’s number was called. The girl stood up to grab their order as the man delicately picked up the contents of his wallet, like they were love notes from her. In a way, I guess they were; on the way out she took his hand. I wish them many awkward years together. And I wish myself that some years down the line I won’t have any cards in my pocket. Sometimes I look at my wife and imagine that I could articulate the magic spell required to sweep the final card out of my wallet, naked an unashamed. But Rome wasn’t built in a day; the irrational love of Romeo was too much for Juliet to bear. There’s time. Some day it’ll make it’s play. Some day, I believe.